Mammoth Biosciences is an American company based in San Francisco founded on June 1, 2017. 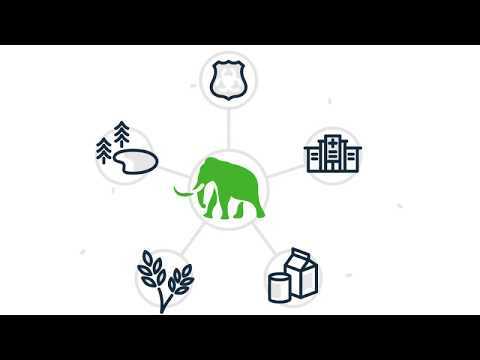 Mammoth Biosciences uses CRISPR technology to develop bio-sensing technologies for diagnostics in industries such as healthcare, agriculture, manufacturing, and forensics. ﻿Mammoth Biosciences is an American company based in San Francisco founded on June 1, 2017. Mammoth Biosciences uses CRISPR technology to develop bio-sensing technologies for diagnostics in industries such as healthcare, agriculture, manufacturing, and forensics. Their CRISPR platform utilizes two CRISPR proteins: Cas12 and Cas13. The technology being used by Mammoth Bioscience theoretically allows for the detection of any biomarker and/or disease that contains either RNA and/or DNA.